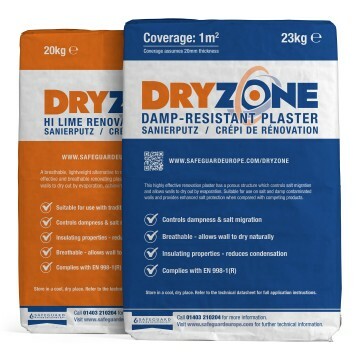 A watertight low-profile sheet membrane for protection against dampness in walls without the need to drill and install plugs. The membrane is a 1.5 mm thick flexible polypropylene sheet with a fleeced surface on both sides. 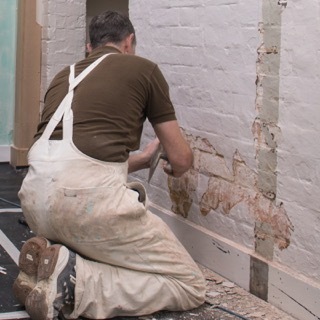 The two fleeces ensure good adhesion to the wall by means of Drybase Flex Adhesive, as well as the direct application of plaster to the face. 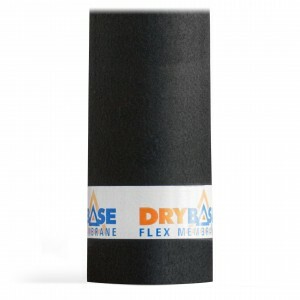 Drybase Flex Adhesive is a polymer modified cement-based product used to fix Drybase Flex Membrane to walls. 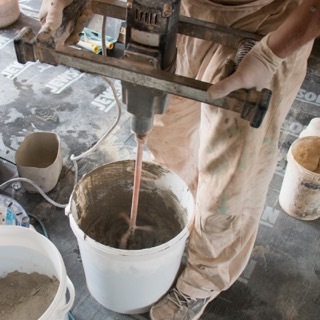 It is supplied in powder form ready to be mixed with water, and applied using a suitable trowel. 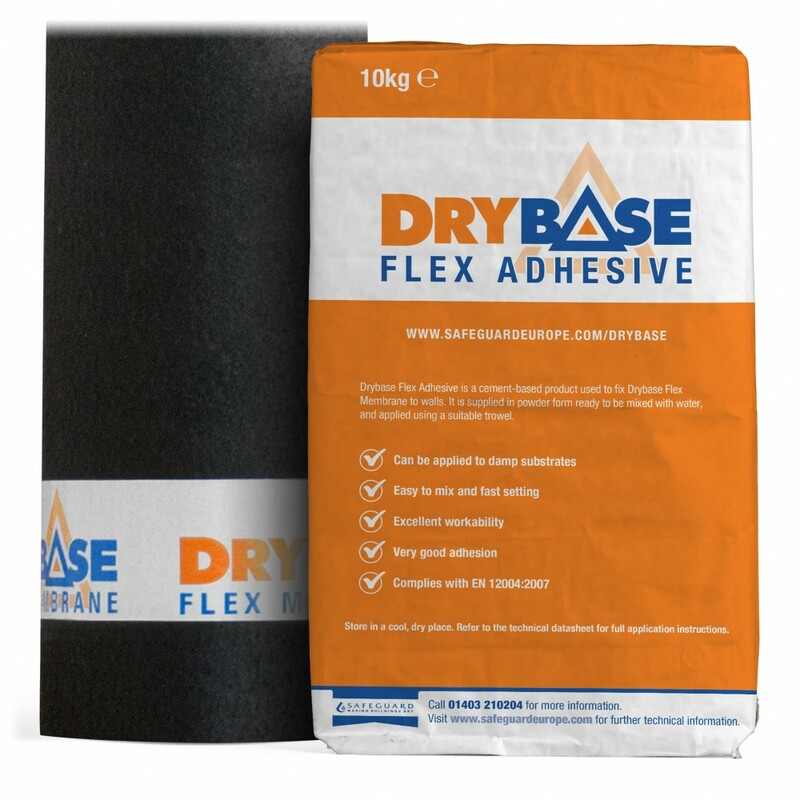 Before Drybase Flex Adhesive can be applied, any structural defects on the substrate must be fixed. Clean the surface of the substrate to ensure maximum bonding of adhesive. Remove all surface laitance, loose particles, paint, etc. by means of wire brushing or light / wet / dry sandblasting or high pressure water jetting. 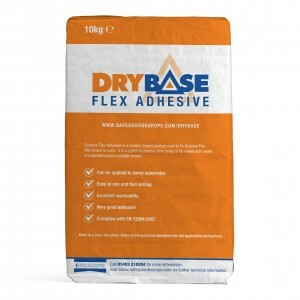 Note: Drybase Flex Adhesive should only be applied in conditions over 5°C. Mix to the ratio 1 part tap water to 3.5 parts Drybase Flex Adhesive by weight (for 10 kg bags, add 2.9 litres of water). 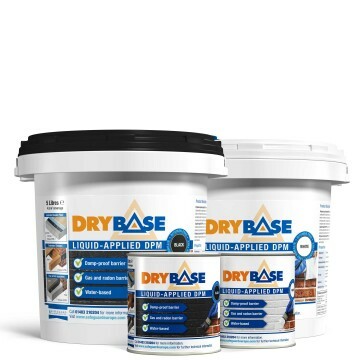 Add the Drybase Flex Adhesive to the clean tap water and mix thoroughly with a mechanical mixer until a smooth consistency is obtained. Note: Use Drybase Flex Adhesive within 30 minutes of mixing. 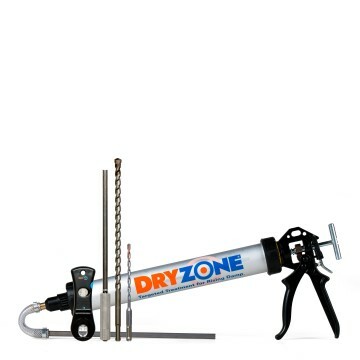 Once the adhesive is on the wall, Drybase Flex Membrane must be adhered to it within 10 minutes. 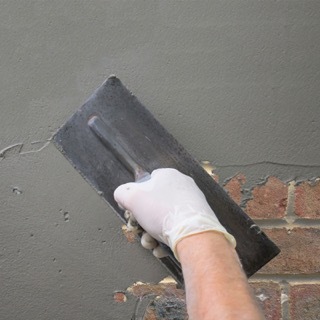 Spread the Drybase Flex Adhesive with a suitable trowel over the face of the wall to cover approximately 1 m2 at a time. The preferred adhesive thickness is 1 - 2 mm. 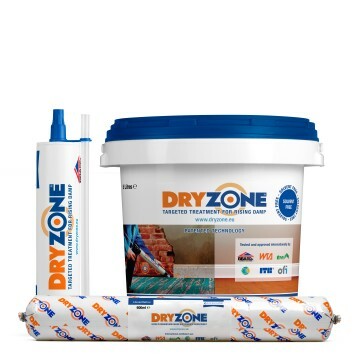 Offer the Drybase Flex Membrane up to the adhesive on the wall and use a trowel to apply gentle pressure spreading from the centre outwards. Make sure there is a 25 mm gap between the floor surface and the membrane (see the Floor-Wall Junction detailing below). Ensure that full contact is established between the membrane and the adhesive. Using a roller may be more suitable to achieve an even pressure. 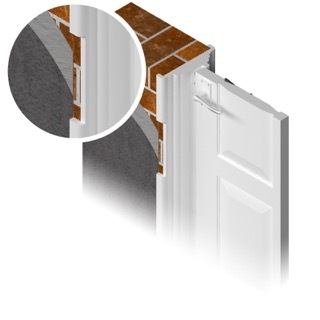 Note: For details such as overlapping joints, corners, doors, and windows, please refer to the detailing diagrams beneath these instruction steps. 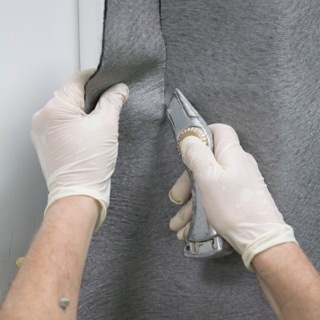 Remove any excess adhesive with a damp cloth before it sets and trim any excess membrane with an appropriate cutting tool. 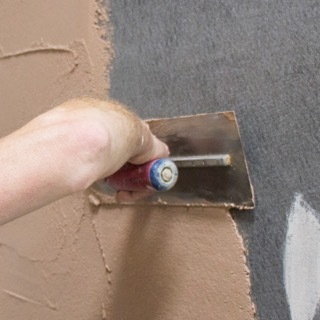 After the adhesive has cured overnight, surface finishes can be applied such as bonding plaster or hardwall plaster; both are suitable for application prior to a skim finish. 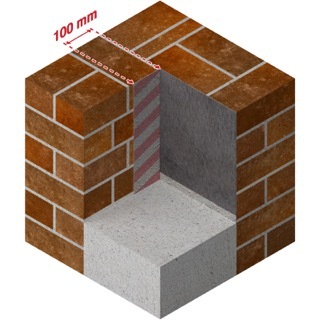 It is important that joint details prevent the penetration of water. For joining two sections, an overlap is recommended of at least 50 mm width. 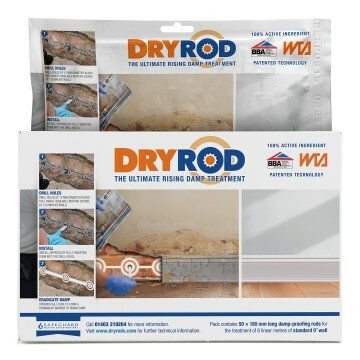 Apply Drybase Flex Membrane on top of the Drybase Flex Adhesive, leaving a 25 mm gap between the bottom of the membrane and the floor. 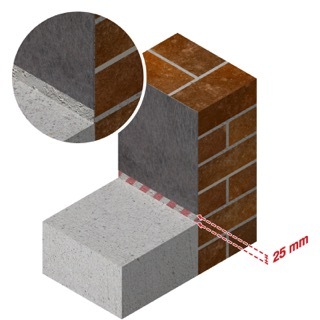 Apply Drybase Flex Adhesive up to the wall joint and 100 mm onto the abutting wall. 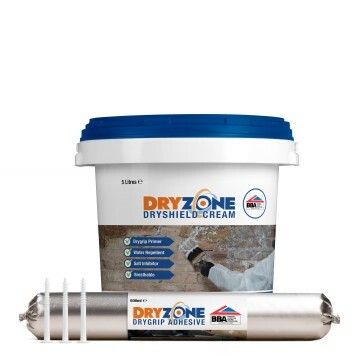 Apply Drybase Flex Membrane up to the wall joint. 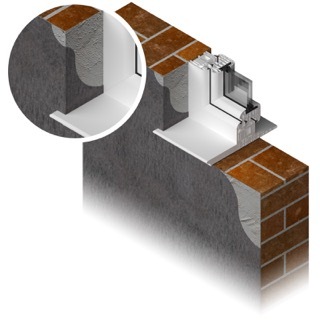 When plastering around a window, Drybase Flex Adhesive and Drybase Flex Membrane should both be applied up to and around the window frame and window sill. Apply both the adhesive and membrane up to the door. Easy to use product - Though getting it to go around a corner and stick takes some practice. Once on, its easy to add bonding layer and you would not know its there. Except the walls dry!